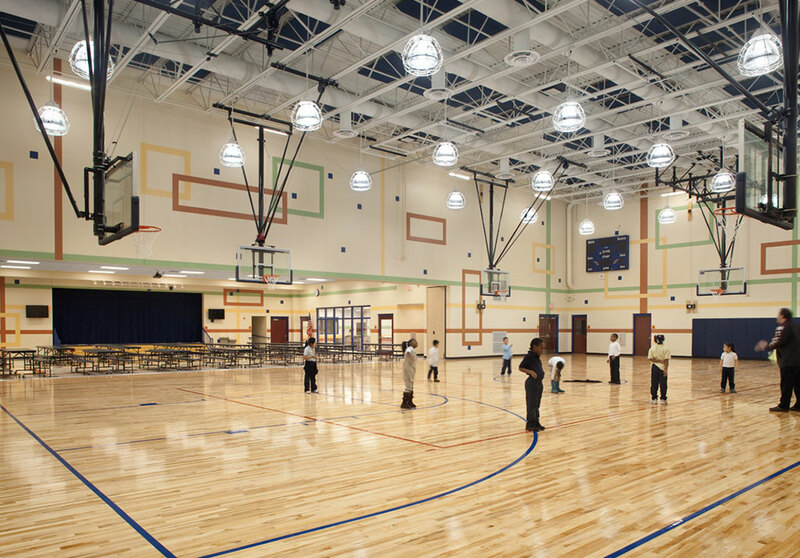 Findley Community Learning Center - PRIME AE Group, Inc. 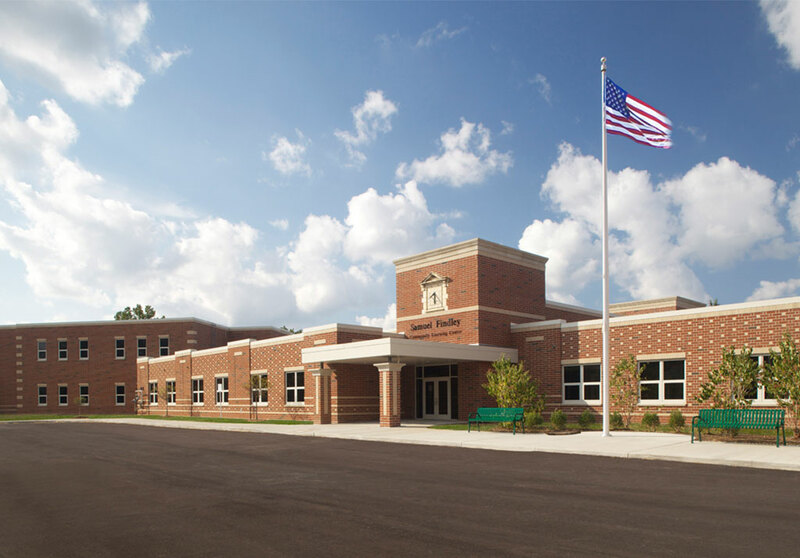 This new 63,516 SF urban K-5 Elementary/Community Learning Center (CLC) incorporates locally-funded initiatives above the basic requirements of the Ohio schools’ programs. The design of the facility took advantage of the opportunity to master-plan the entire city block, including the Center’s immediate neighbors: an Akron Metropolitan Housing Authority (AMHA) apartment tower, a City of Akron park, and the proposed removal of a convenience retail center. 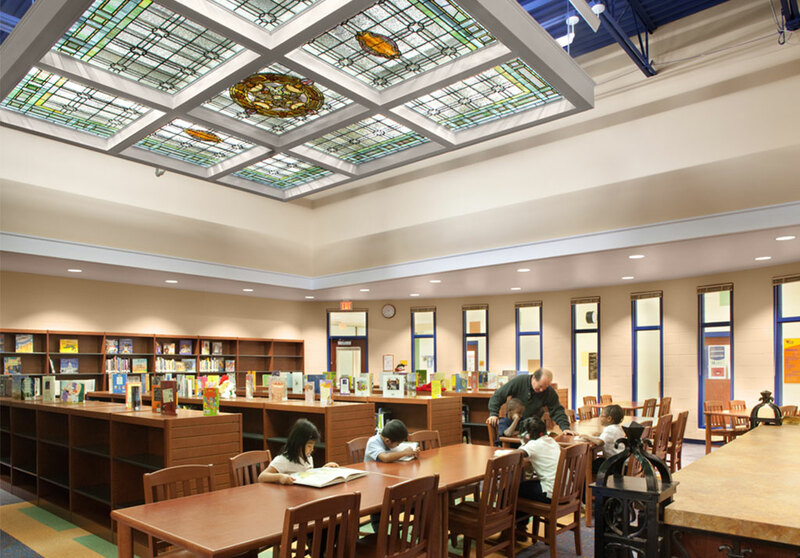 The CLC consists of three kindergartens, seventeen classrooms, six special education classrooms and resource rooms, a media center, dining facility with warming kitchen, and a gymnasium. 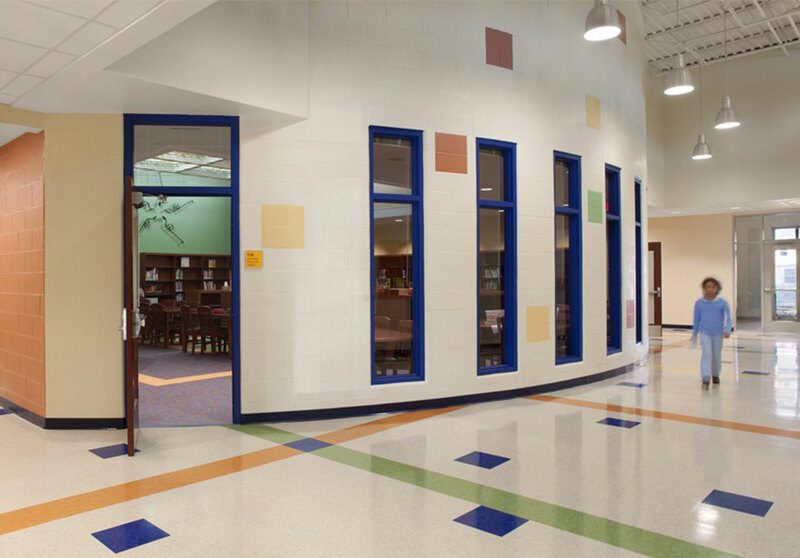 The CLC functions as an elementary school during the day, and is available for community use during evenings, weekends, and summers. The design emphasizes the relocation of the CLC as the focus of the neighborhood and integrates the campus with a new AMHA facility, shared parking, and enhanced green spaces.